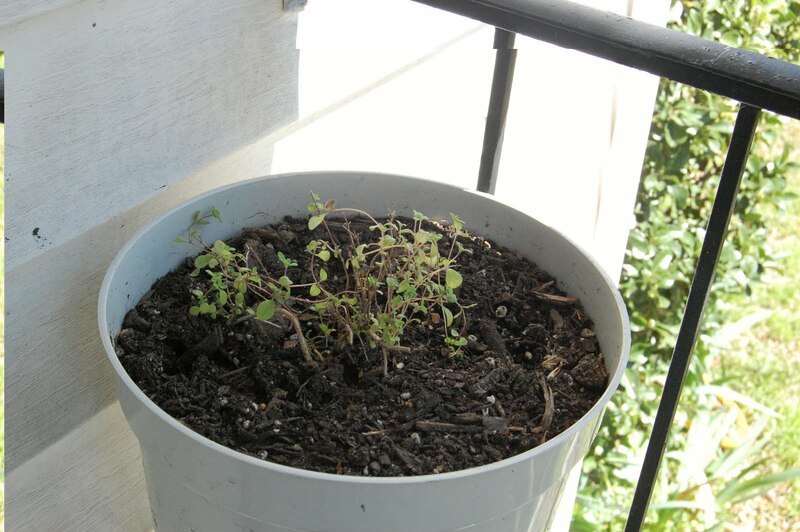 My marjoram is hanging in there and starting to spread out and grow a bit. 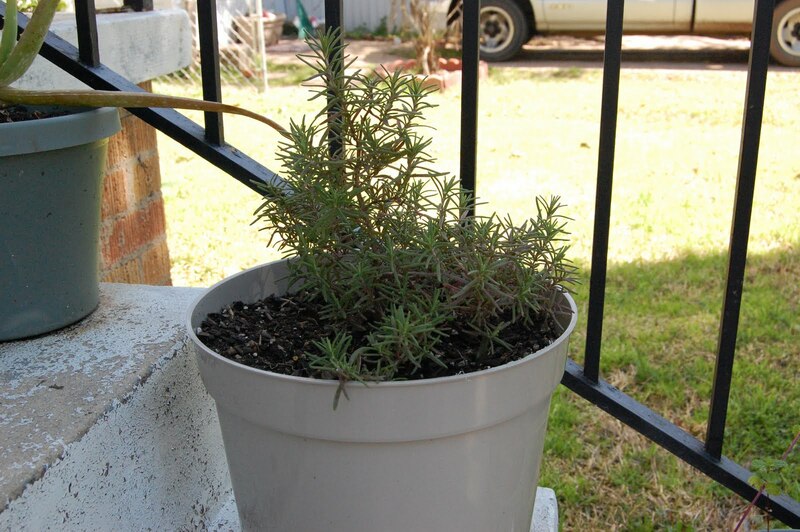 All three rosemary plants almost doubled in size over the week. Growing your own fresh vegetables, fruits, and herbs does not have to be costly. If you have your own compost pile, you have a renewable source of gardening soil. Plastic pots from the dollar stores work just as well as the more expensive kinds everywhere else. My stevia is growing fast! I may need to move one of the little shoots to another pot. I brought home new plants this weekend, which I’ll have to photograph tomorrow when the sun is up. I got basil, dill, thyme, lemon thyme, greek oregano, two kinds of tomatoes, and a couple of strawberry plants. I have also planted snow peas and green beans – I will be planting a lot more of those as soon as we can get our garden boxes together. ← Skillet Granola: cheap, and delicious!